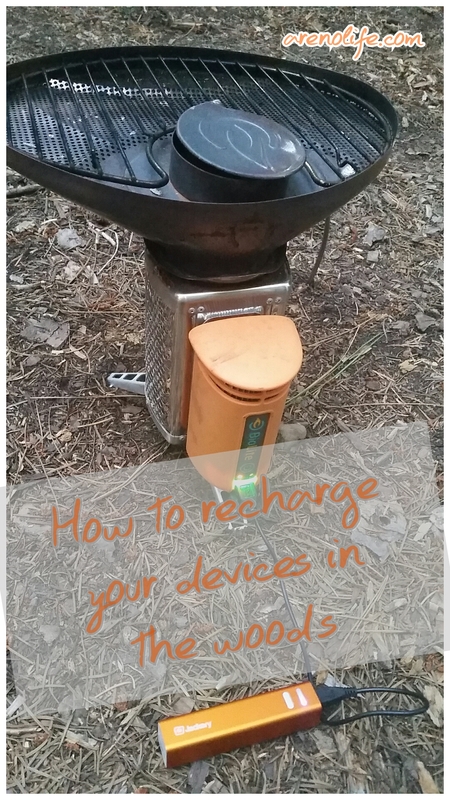 Whenever we go camping or backpacking, we have a couple of different ways that we recharge our electronic devices. Depending on how much wattage you will need in order to recharge the device, will dictate which method. For small devices like a headlamp or Garmin GPS watch, our Biolite Stove works just fine; however, my Samsung S5 needs more amps/wattage and unfortunately does not recharge well from the stove. My Ravpower charger is a 15W solar charger and recharges my S5 in 60-90mins in full sun. I was really impressed with how quickly it recharged my phone!! It has a LED bar on the battery to show me how full or depleted the battery is. It is lighter than some others. My husband has an Anker lipstick battery and that thing is like lead = heavy. All in all, while being out in the woods and decompressing from the responsibilities of life or just being an adult, it is nice and a luxury to recharge your devices via the sun, fire or a recharged battery. I know I really like being my Kindle along for a good read in my hammock or a late night movie on our tablet (Yes, I admit it 😦 I occasionally watch a movie while in the woods). Previous Post Pinterest Inspired Log Bench = Success! !